This famous appellation covers an immense area of 18,000 hectares of vines : it includes the "varois" hinterland from Le Luc until the Estérel and bordering the Mediterranean from Hyères to Fréjus passing by Saint-Tropez. 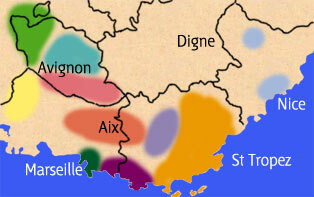 Considering the size of the area and the differences in soil and climate, "les côtes de Provence" encompasses a large variety of wine. 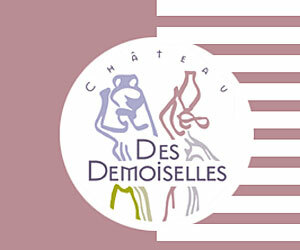 The rosés represent 75 % of the harvest, the reds make up 20 % and the whites only 5 %, although this does not mean they are of lesser quality. 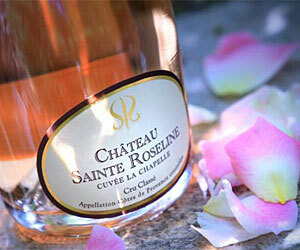 The fresh and fruity rosés are at the head of the list. Considered as the "ambassadors of Provence", they are directly linked with summer, Provencal cooking and the agreeable Provencal life-style. Ancient abbey from the 11th century transformed into a beautiful residence, with a park laid-out in typical French style. Wine-tasting and guided tour of the cellars. A magnificent setting featuring 300 hectares (over 200 hectares of forest), located inland in the Var countryside, not far from the Pennafort gorges. 18th century residence of the Comtes de Provence. Wine is made according to traditional techniques. Wine-tasting and guided tour of the cellars. Priory transformed into Provencal residence in the 18th century. Large 11th century cellar. Meals by reservation (10 menus and wine). Exhibitions. Wine-tasting and guided tour. Chateau built in the 12th century by the Templiers. No visits. Beautiful vaulted cellar. Wine-tasting and explanations. 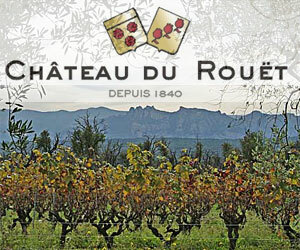 Built in the 19th century, it is one of the oldest wine cellars in the Var region. The storage and maturation cellars between them cover an area of more than 200 m². The magnificent vaulted cellar has been renovated and offers a wonderful area to taste Côtes de Provence. In the centre of a 500 hectare park, the chateau and chapel date from the 18th century. Open-air theatre with floating stage and waterfall. Château des Templiers (Templars), 14th century, passed to the order of Jerusalem in 1307. Group visits, wine-tasting. Residence dating back to the middle ages which was the home of several religious orders before being transformed into a chateau in the 14th century. Cellars built in the ancient chapel. Group visits on request. Inhabited in the 12th century by monks, an underground passage links it to the Thoronet abbey. 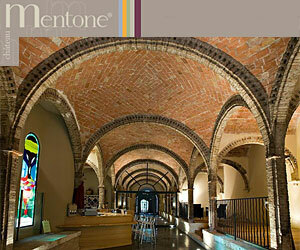 Impressive oil pressing equipment and 12 century archways. Lovely 18th century residence in the middle of a 100 hectare park. Bed and breakfast, rural holiday cottage (gite). Wine-tasting and guided tour. Templars' property occupied from the 14th century to 1789 by the "Ordre des Chevaliers de Malte". The vineyard dates back to 800 AD. Residence dating from Napoléon III with a large park in typîcal Mediterranean style. Exhibitions. Rural holiday cottage (gite). Guided tour on request. Fortified property built on the foundations of an antique Roman villa. Wine-tasting and guided tour : vine-growing techniques, cuisine and wine. Wine-tasting in the cellar on request. Owned by the family for several generations, the property Tournels majestically overlooks its 110 ha Pampelonne Bay, at the foot of the lighthouse Camarat. 19th century chateau with square tower, clock and bell-tower situated at the foot of Grimaud village. Beautiful view of the town. Wine-tasting and guided visit on request. Majestic residence from the 19th century which includes an 18th century chapel and collections of "santons", and earthenware pottery from Moustiers. Wine-tasting and guided tour of the cellar and property on request. Beautiful historic cellars. Wine-tasting and guided tour. 19th century residence surrounded by park-land. Exhibitions, concerts. Ultra-modern cellar. 18th century property looking out over the sea, opposite the "Fort de Brégançon" and the islands of Porquerolles and Port Cros. Typical Provencal architecture, with beautiful vaulted cellars. 16th century residence with 4 towers and a beautiful park, in typical French style, by the sea. Wine-tasting and guided tour by appointment. The ancient summer residence of the archbishops of Toulon houses a beautiful wine-tasting cellar renovated in the style of the middle ages. Property which houses a "santon" museum (1700 exhibits), a lake, complete with swans and peacocks and a 3500m² cellar. Wine-tasting and guided tour by appointments. 18th century chateau surrounded by typical Mediterranean vegetation with a view over the "Iles d'Or". Walking trails on the property. Exhibitions. Louis 14th-style cellar, wine-tasting and guided tour. Built in 1630, the chateau overlooks the harbor of Toulon. 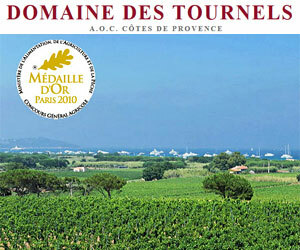 Properties and wine cooperatives AOC "Côtes de Provence"
Saint-Tropez (1property, 1 co-operative winery).